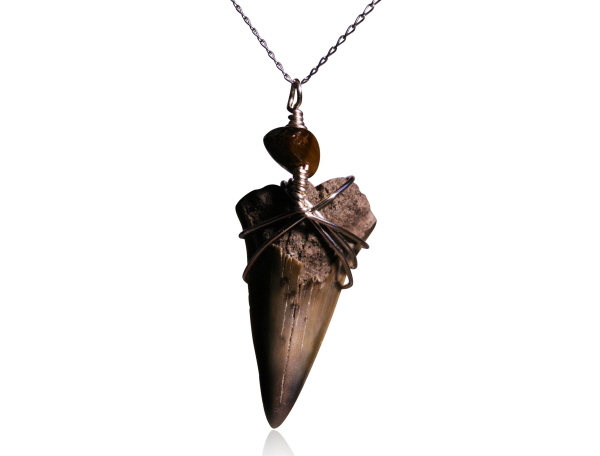 This pendant is crafted from a richly coloured Fossilised Mako Shark tooth strung with silver plated wire and strung from an 18 inch solid silver chain. The pendant comes boxed in a stunning padded, velvet lined jewellery box and would make a superb gift! The tooth won't be the exact one you see here, but it will be another - very similar one.